This week the holiday gift guide is all about the home. I love getting little trinkets and decorative things for my home. I am always looking to make little improvements or changes here and there so these gifts are always a welcome change of pace! One of my favorite gifts to get are candles. Some people may think this is a "basic" gift, but I always appreciate a nice candle. I am constantly burning them in my apartment so they get a ton of use. I like to get candles that also have a little bit of design to them. These Tom Dixon candles look and smell good. After you burn them you can repurpose them as brush holders for your vanity or pen holders for your desk! Aside from candles I also think anything kitchen related like these cheese markers or a nice tray is always a good gift as well as plants, wall art and anything that will be a good accent piece for the home. These are all great ideas because they are things people love but don't typically buy for themselves. 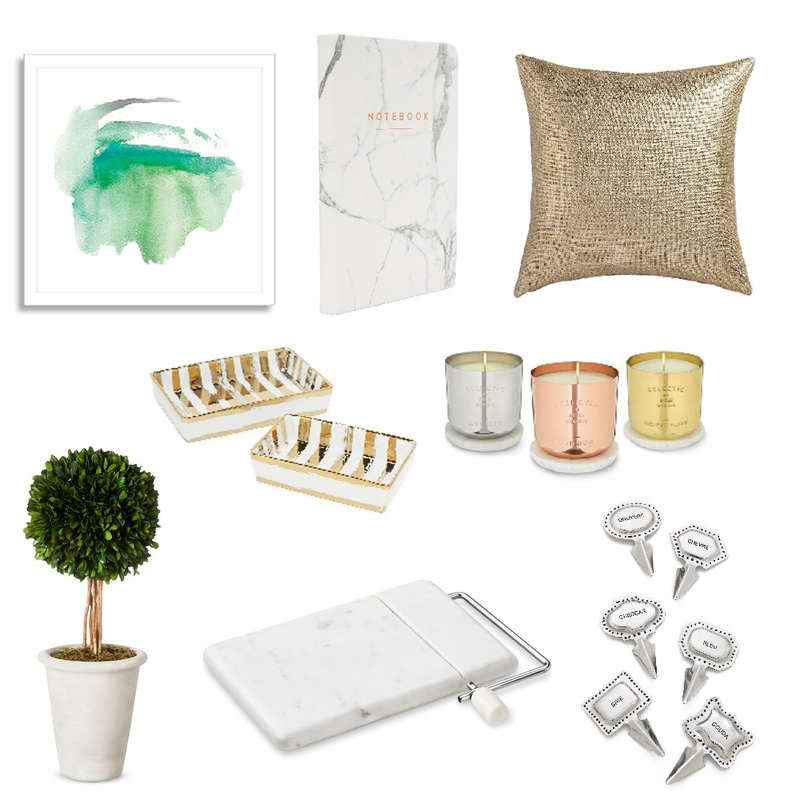 To shop my home gift picks, click the links above or below.